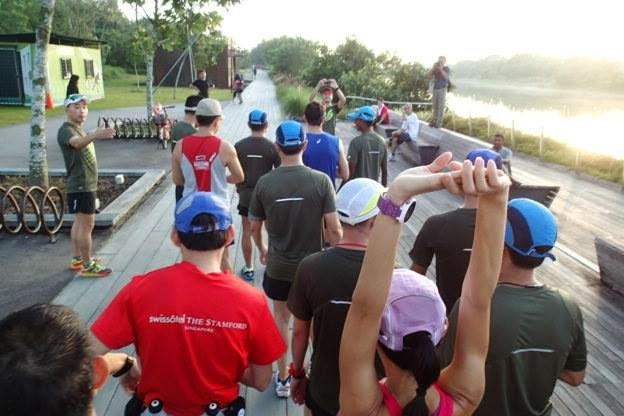 Team FatBird conducted the 2nd lead up training at the beautiful Ponggol Waterway for a good turnout of enthusiastic Straits Times (ST) Run Half Marathoners. 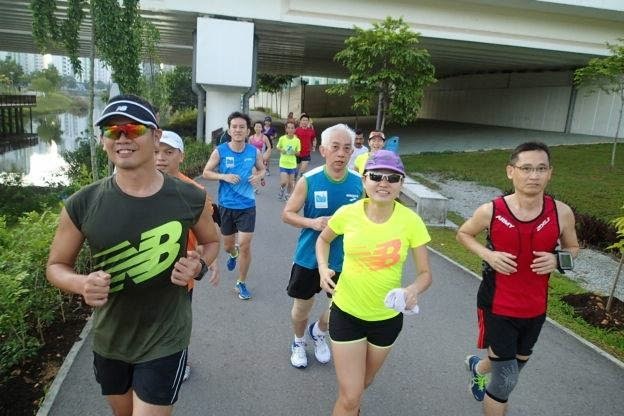 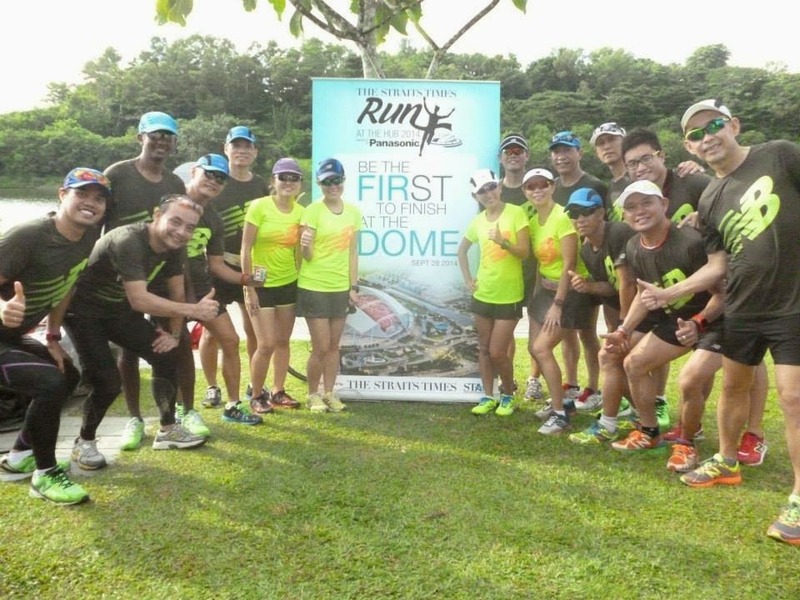 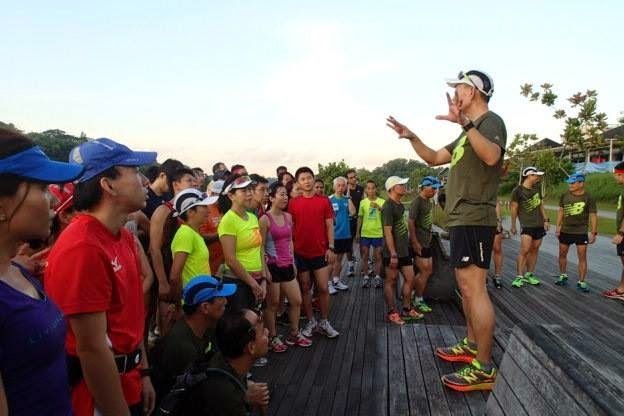 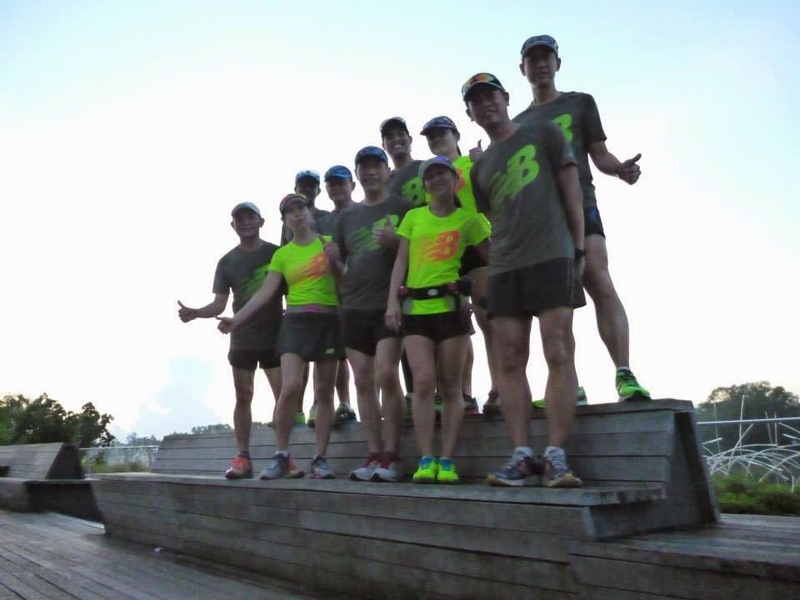 A number of them were returning trainees from the 1st training run at Bedok Reservoir Park, whilst the rest were joining this training series for the very first time. 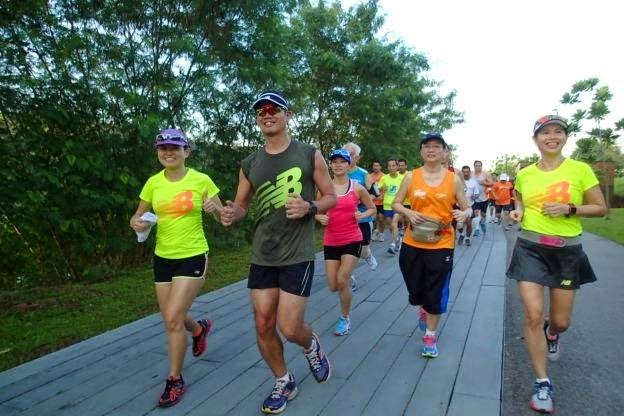 The Ponggol Promenade area at Tebing Lane was already bustling with joggers, walkers and bikers before sunrise. 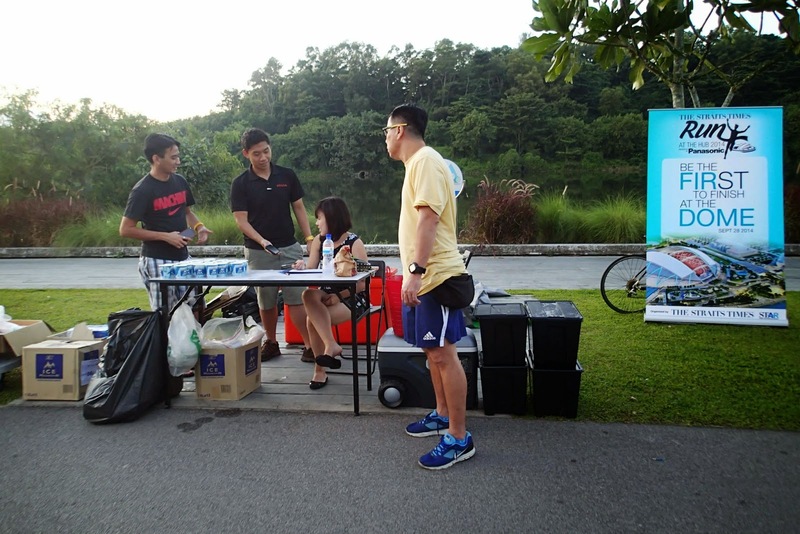 It was good advise that the ST Run Organiser, Inifinitus Productions gave for the runners to arrive by 7:00am. 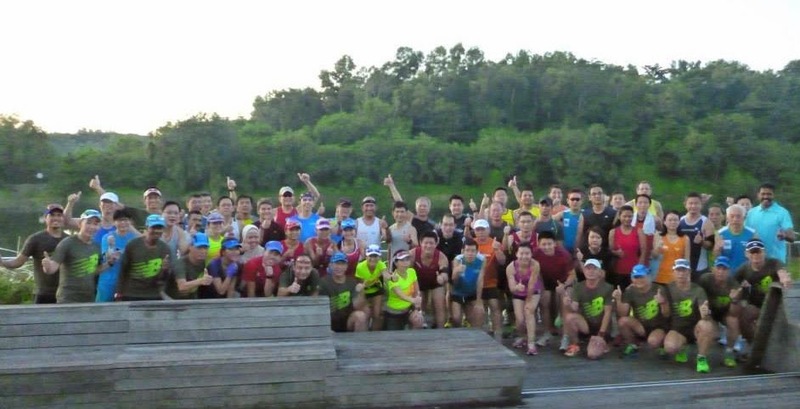 We started the dynamic warmup and drills by 7:10am, and along with group photos and route briefing, we were all ready to run off by 7:30am. 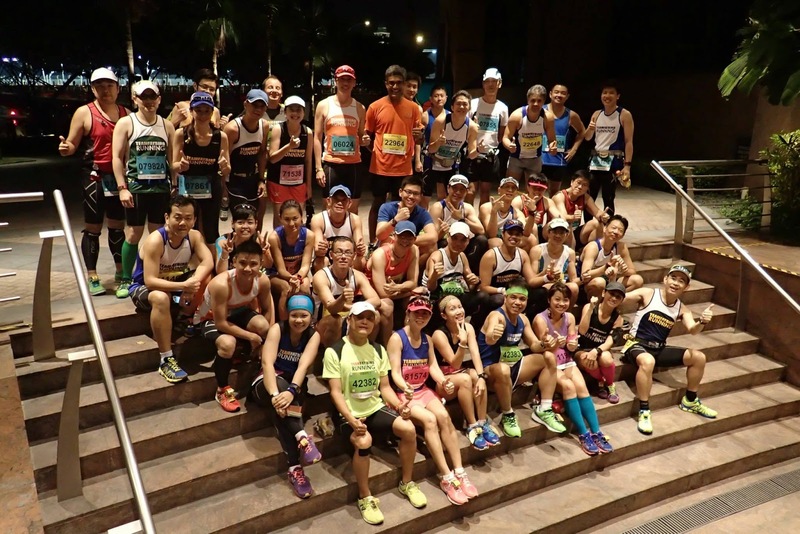 The trainees were assigned to their respective Pace groupings of 1:50h, 2:00h, 2:15h and 2:30h to attempt to maintain race pace for the whole distance of 12km. 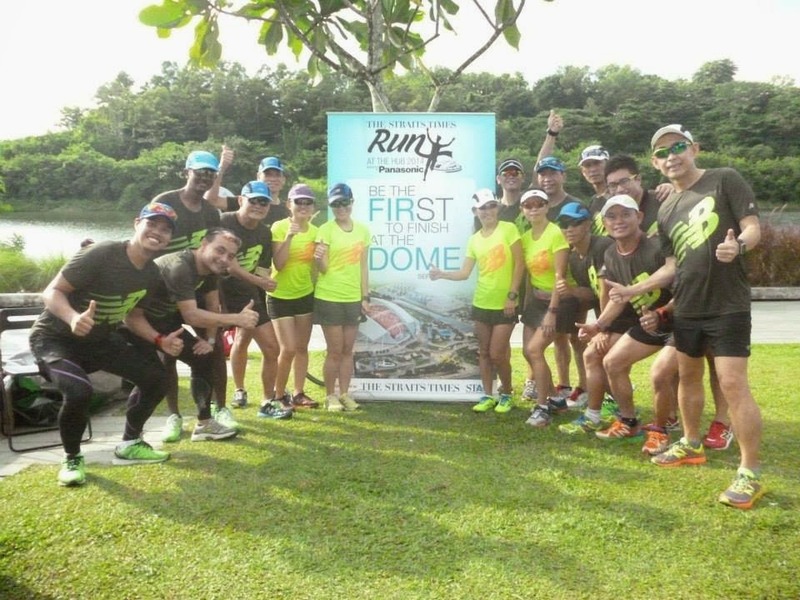 The first half of the run had us running alongside the Waterway on the left, with lush greenery, fountains dotted with smaller parks and pavilions. 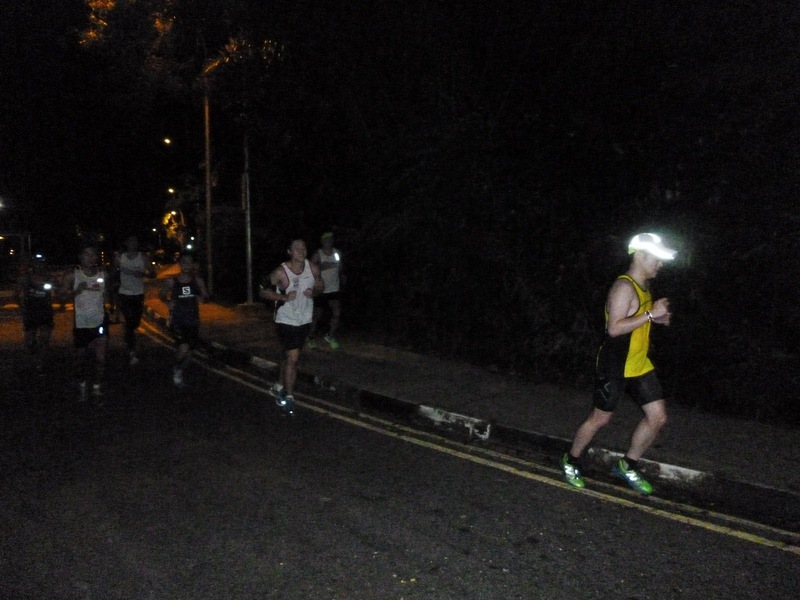 Our runners kept to the pavement for most of the time, and running on the shared tarmac whenever there were no sighting of bikes travelling at fast speed. 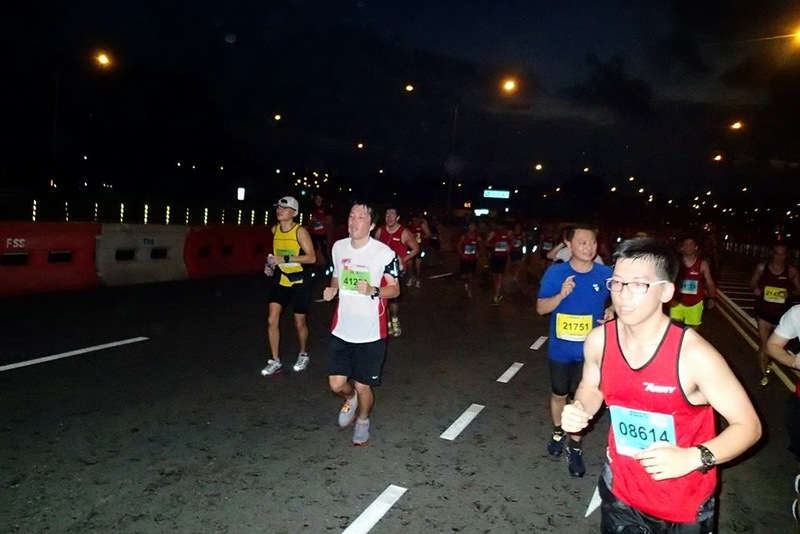 As we turned the bridge at around the 5km mark, we could see the runners still maintaining pace within their respective pace groups, and looking strong to boot. 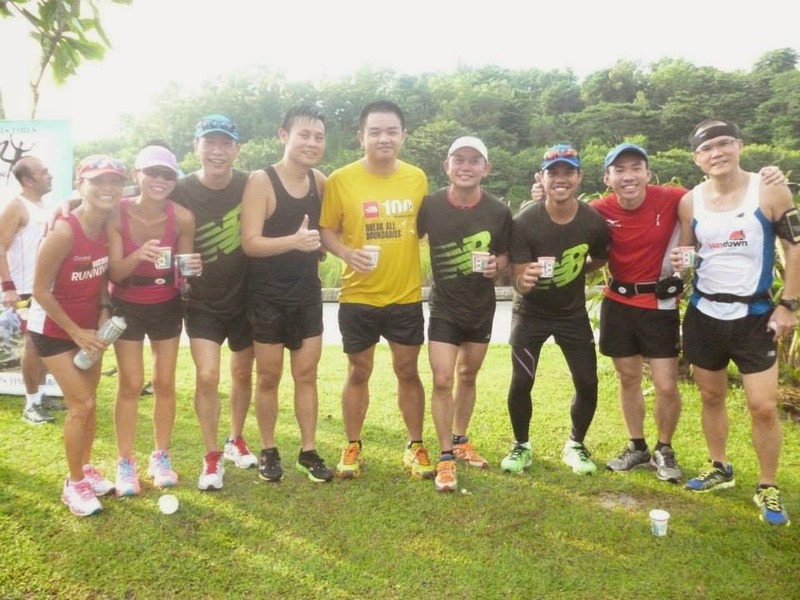 After the U-turn to the other side of the Waterway, we were aiming for iced cold isotonic drinks at the 6km mark. 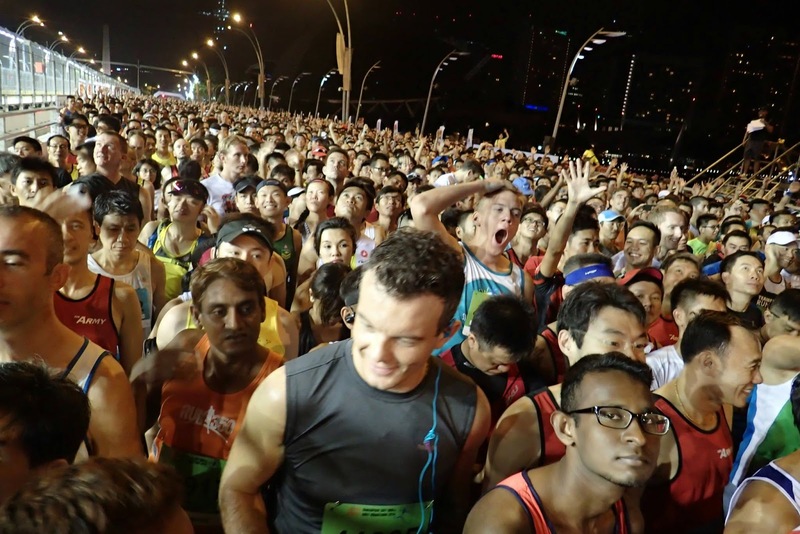 We could see other pace groups on the other side of the river as we ran, and the cheers and applause to encourage one another were spontaneous. 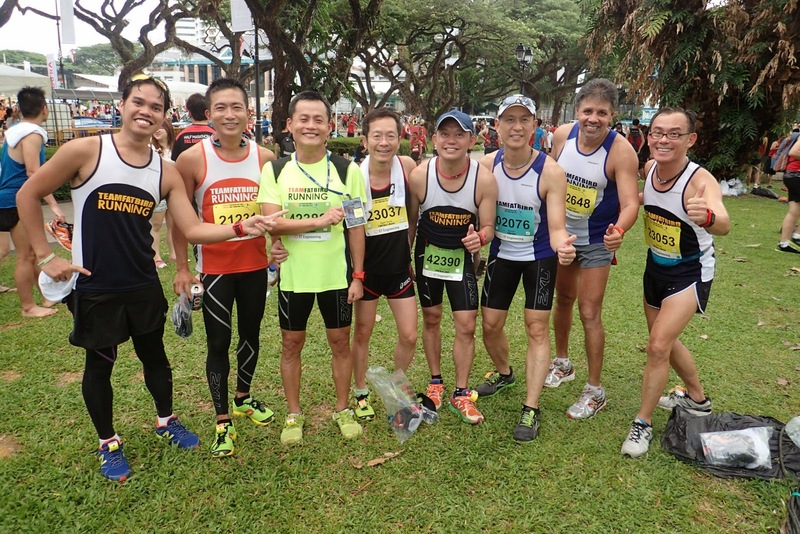 The smiles on the runners’ faces were evident as they ran with pride and joy in being able to keep pace through to 8km mark. 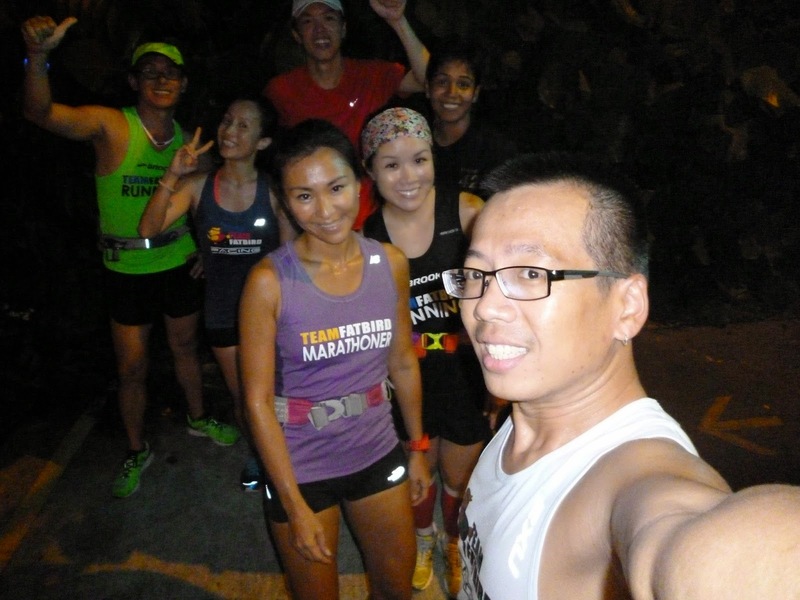 We did a turn towards the Coney Island direction and had to contend with the final 4km of run without much cover under the blistering heat of the emerging sun. 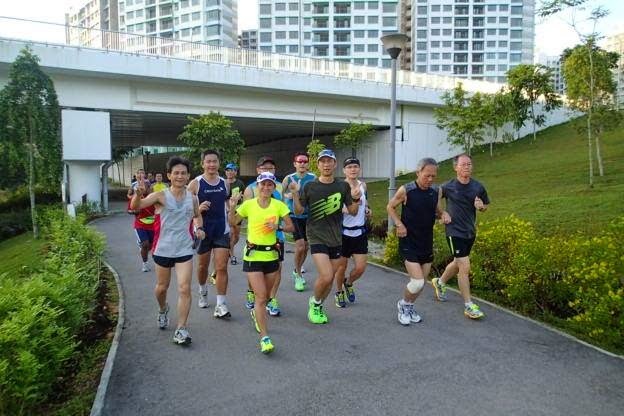 Still, the runners held steady and kept up with the target paces for as long as possible. 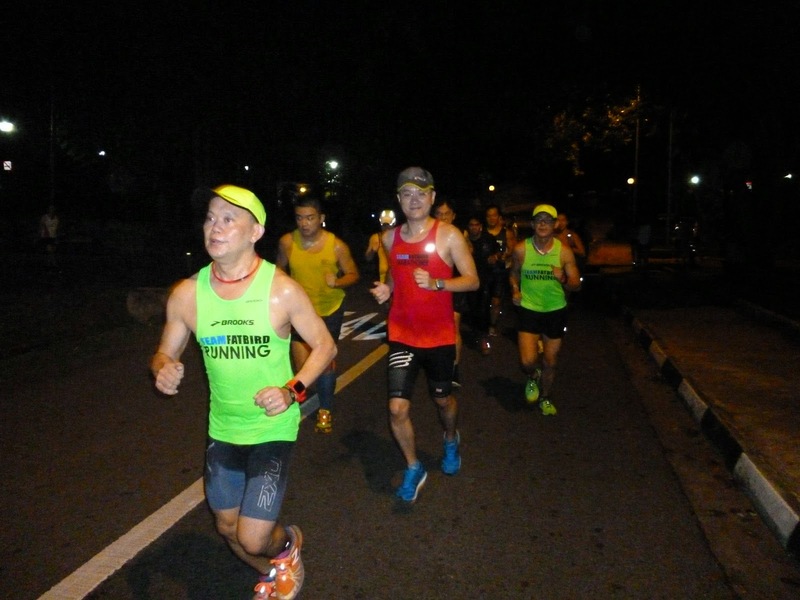 There were the occasional slow-down or even short walks to recover from the intensity, but as soon as the Pacers came along, the runners again picked up their legs and continued running. 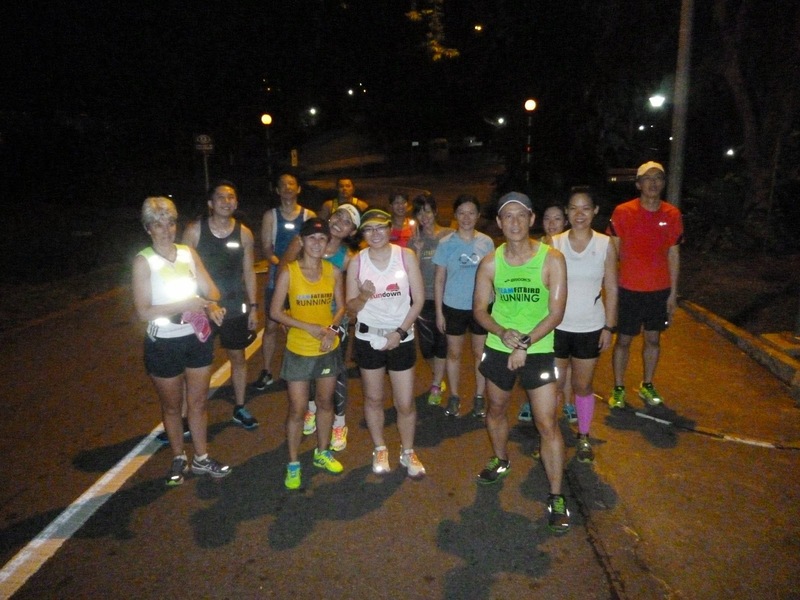 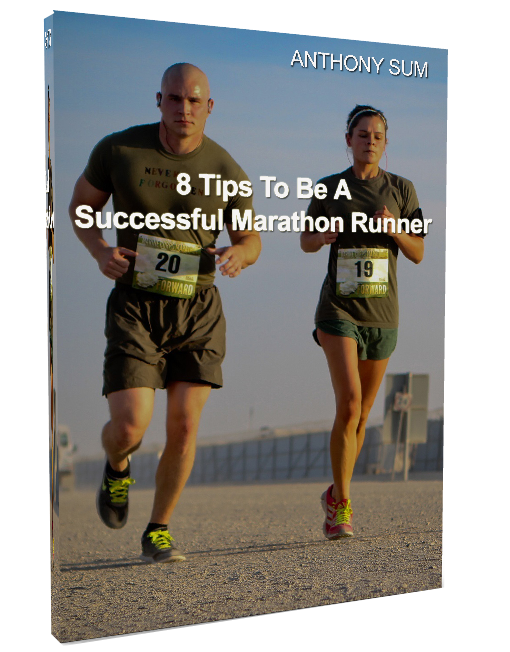 Running and pacing as a group is certainly a lot easier than having to do it on one’s own. 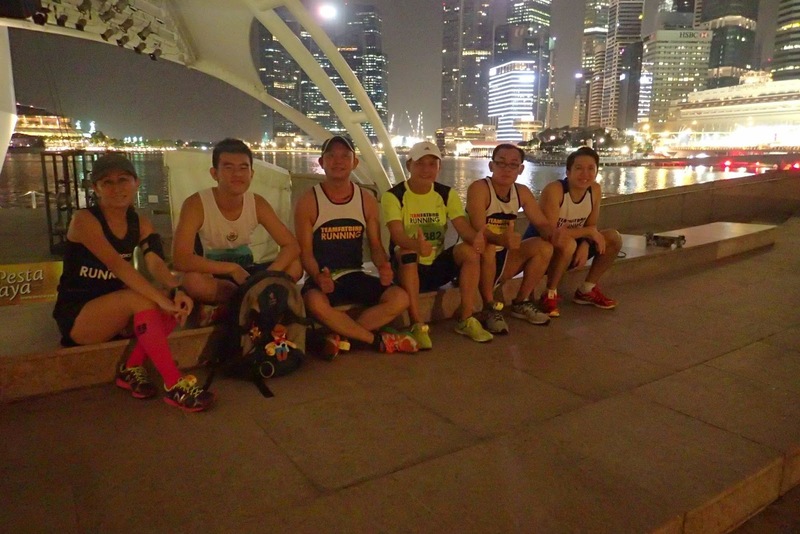 Before we knew it, we were just 1km from the finish line, and the Sunrise Bridge was in sight. 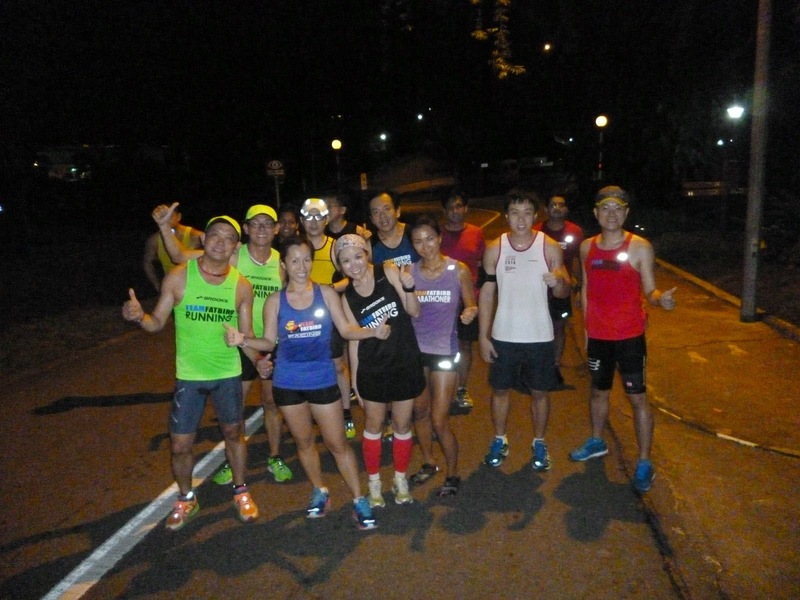 Sensing that, the runners’ worked hard to sustain pace to finish strongly, with many bettering their own training timings. 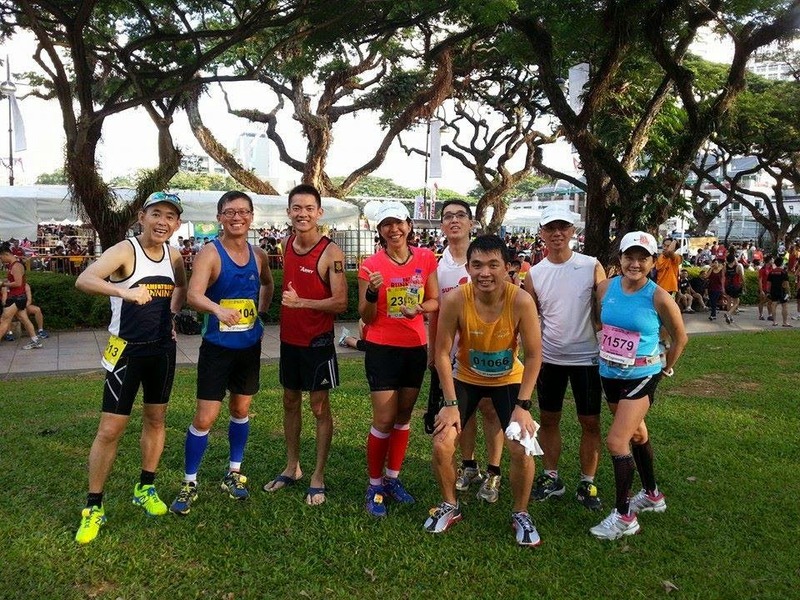 Sufficient isotonic intake along with bananas for replenishment helped the runners regain their strength to recover rather quickly. 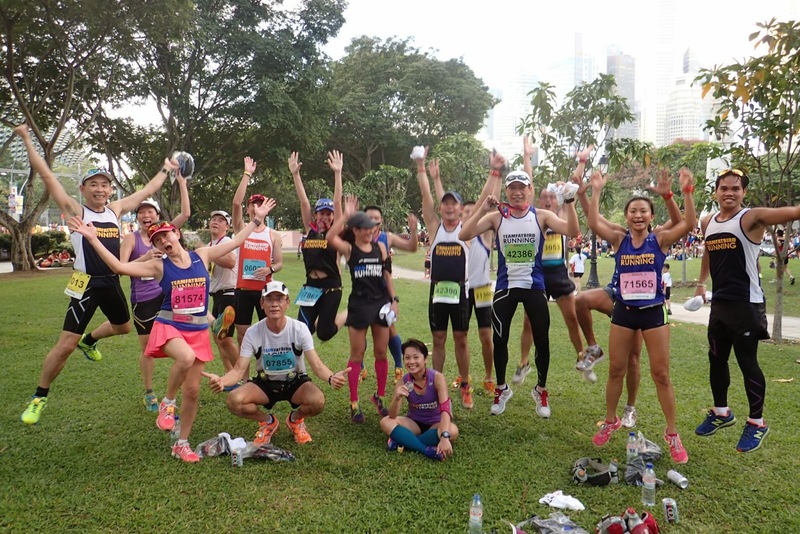 The respective group Pacers led their runners for a good 10min of static stretching to ease off any tightness with the aim to speed up recovery. 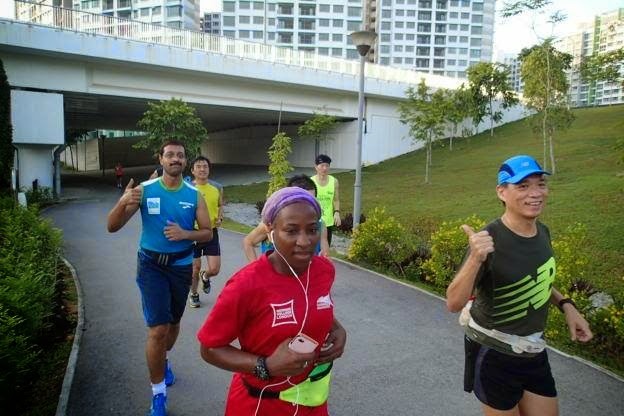 Lots of positive feedback and exchanges abound, with Coach Ghana and the FatBird trainers on hand to dish out simple but effective advise on how to improve ourselves for the HM race on Sep 28. 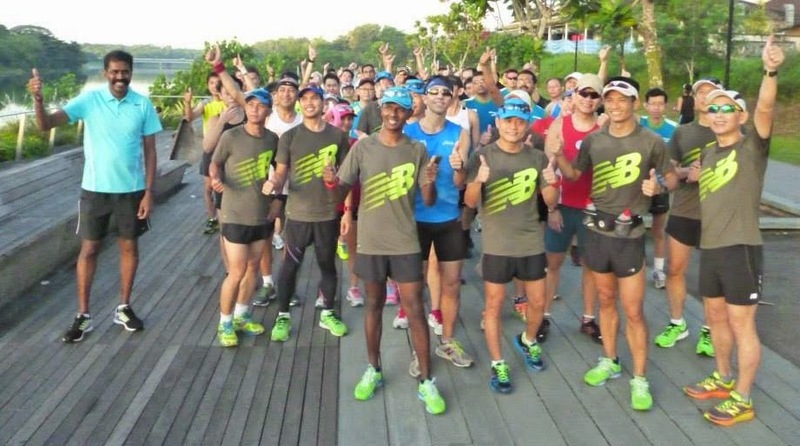 With the finale training run On Sep 13 @ Sports Hub, we can expect an even better turnout with many of the satisfied trainees returning as well as those who had missed the earlier runs to show up. 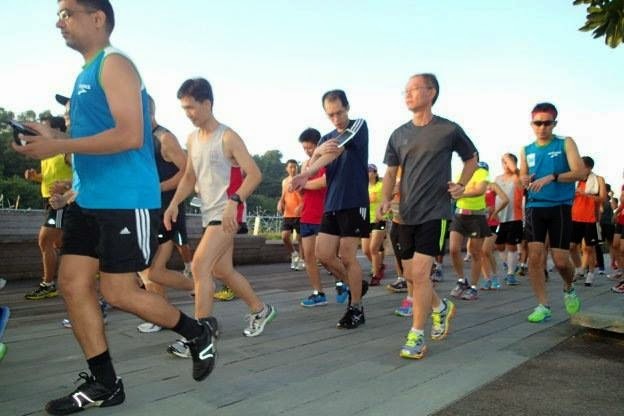 It will also serve as a final time and pace trial for race day. 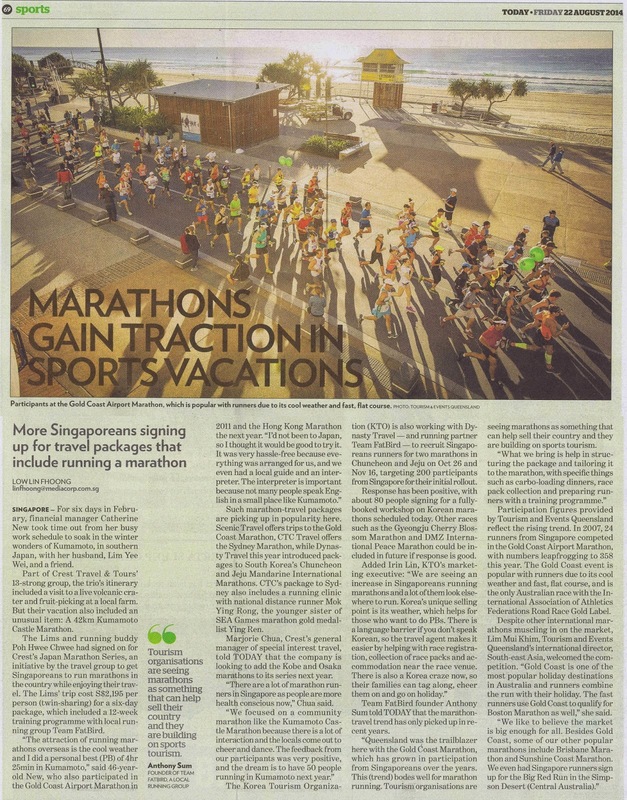 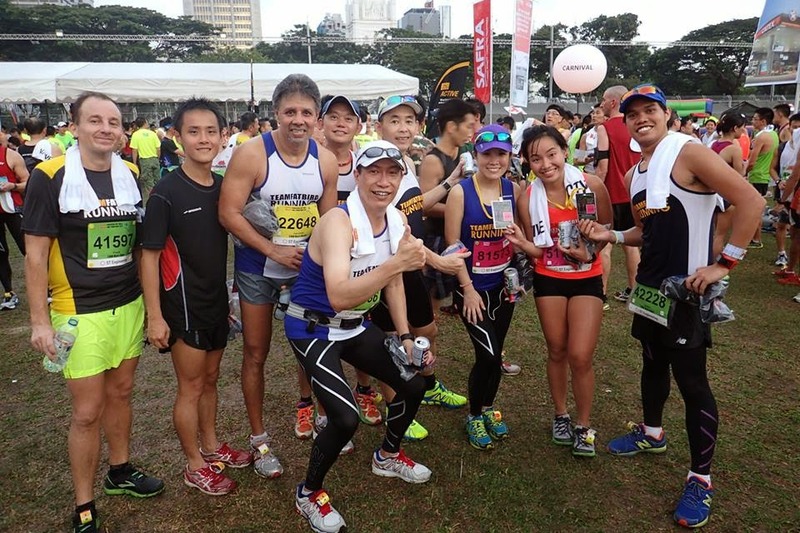 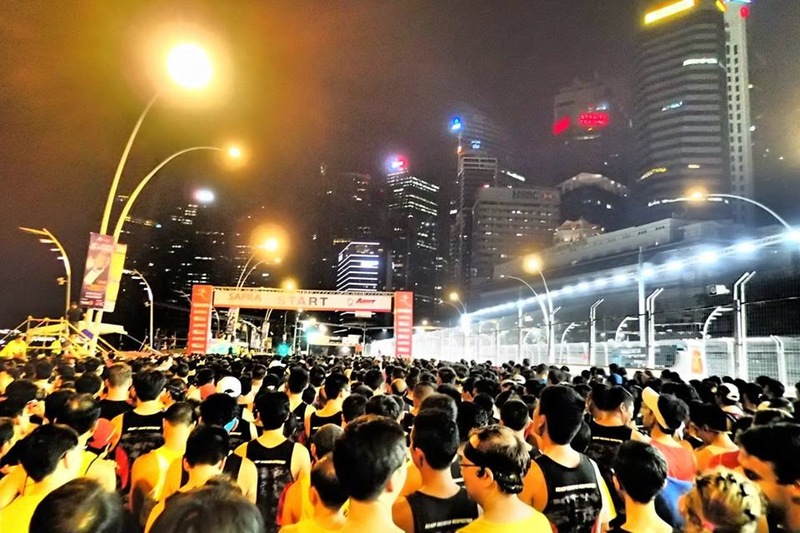 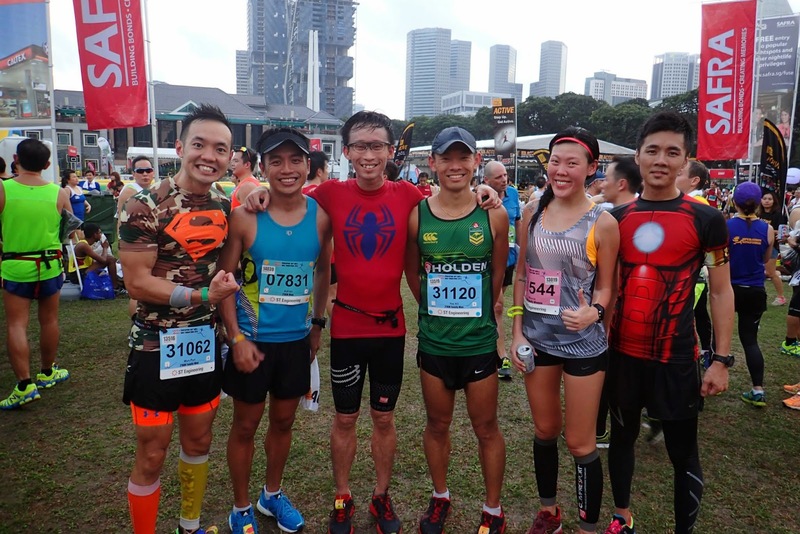 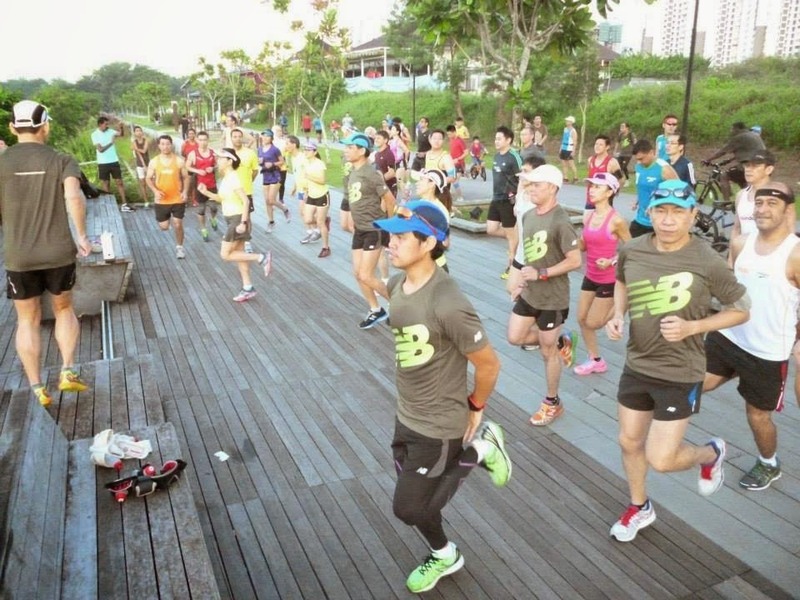 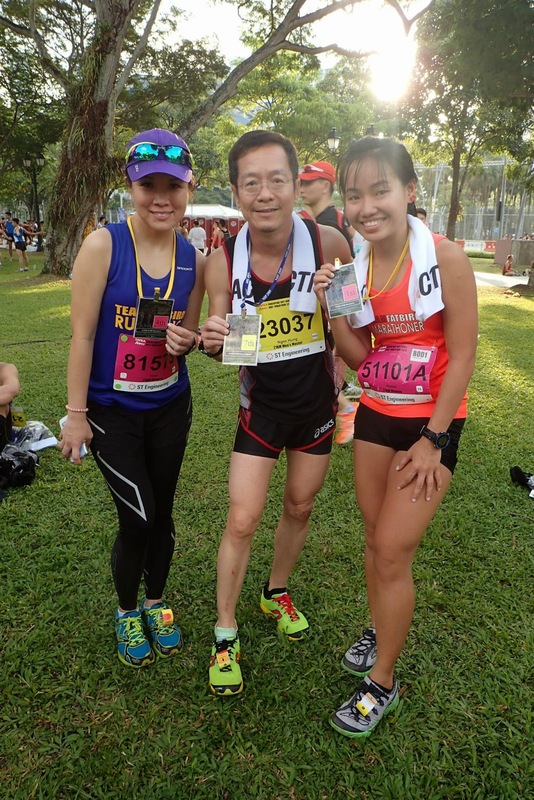 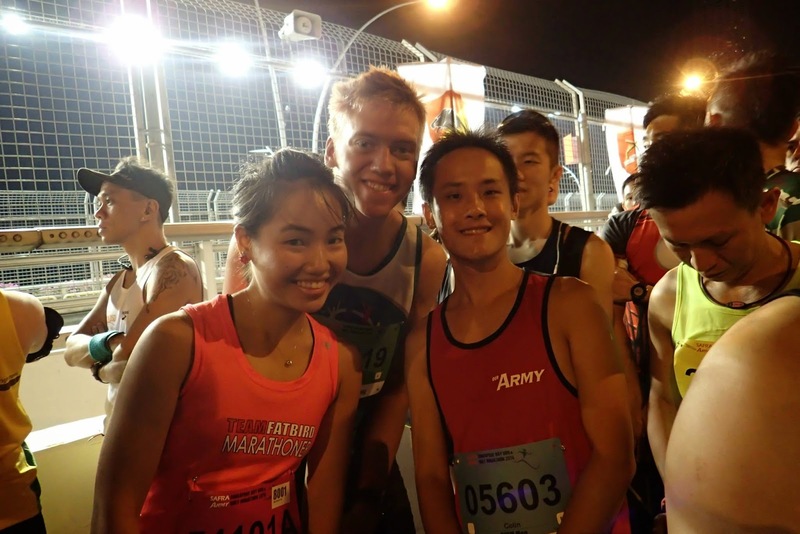 Singaporean runners and marathoners are going places…literally – more overseas marathons to whet our running and marathoning appetites coming on stream. 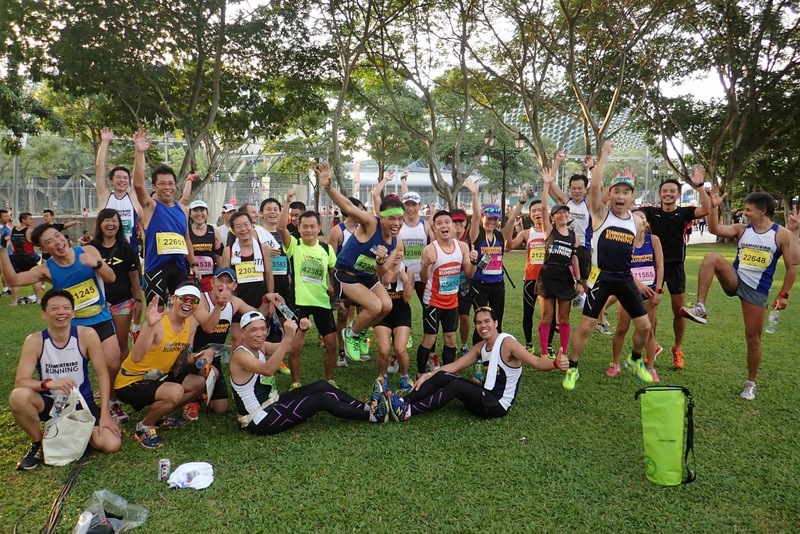 Fly with Team FatBird to these scenic and friendly international race courses…and bring our Singapore flag along! 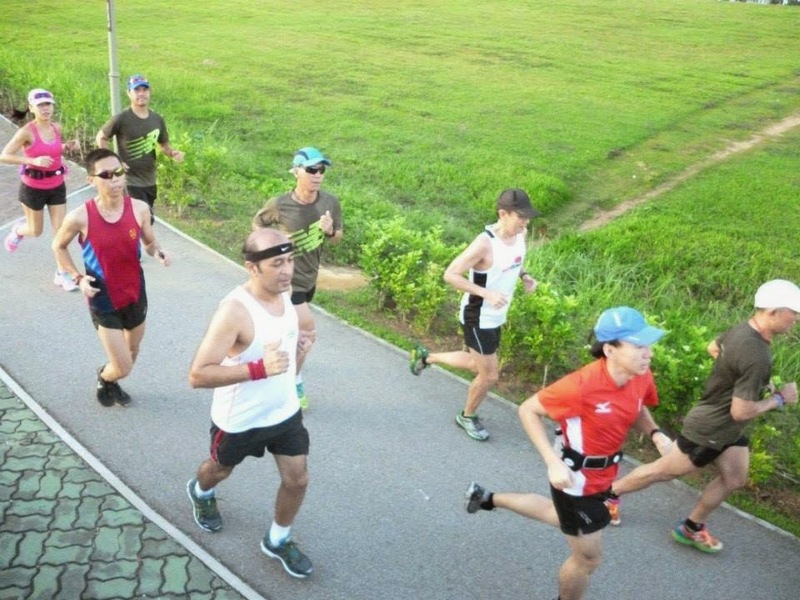 With barely 2 weeks remaining to race day, the Kingfishers were introduced to their third hills training ground for what turned out to be hills repeats at SpeedyBird Pace. 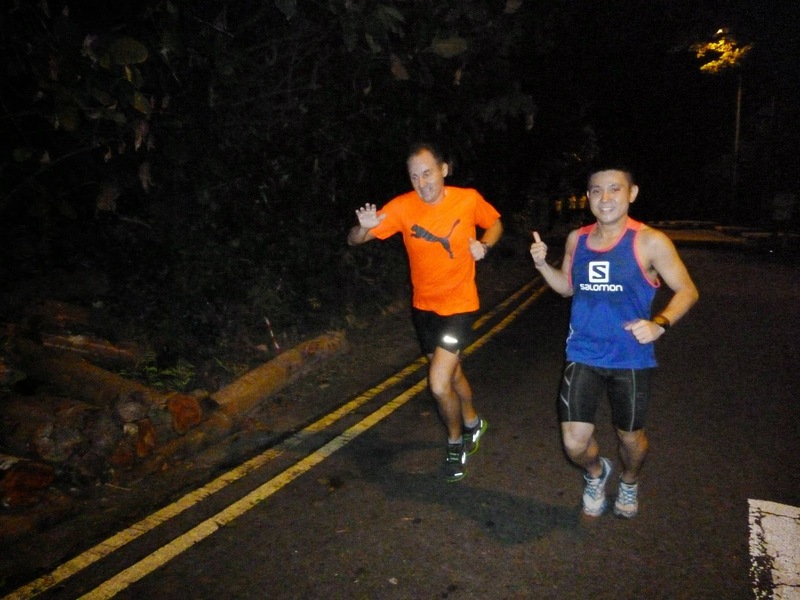 The 4km run into the start point was already one of rolling hills with good elevation to make a grown man sweat buckets. 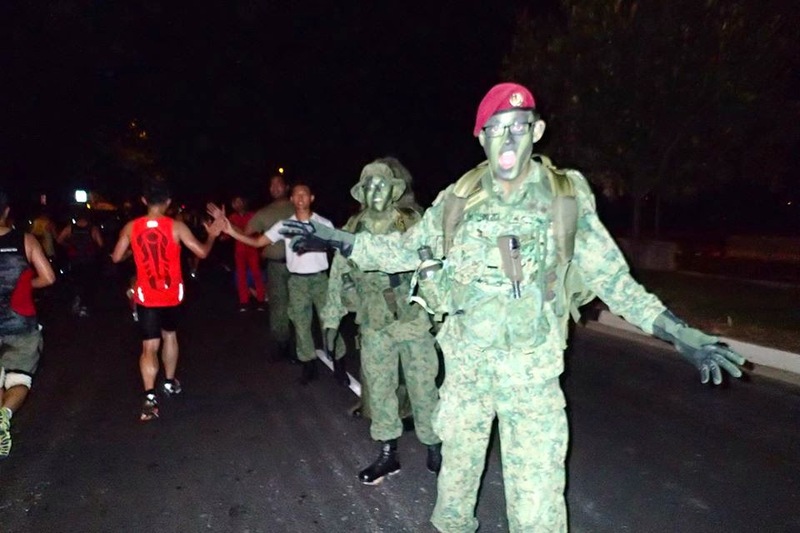 And if that was not enough to break a sweat for some, the faster groups were guided to do activation drills to prepare them for the main course. 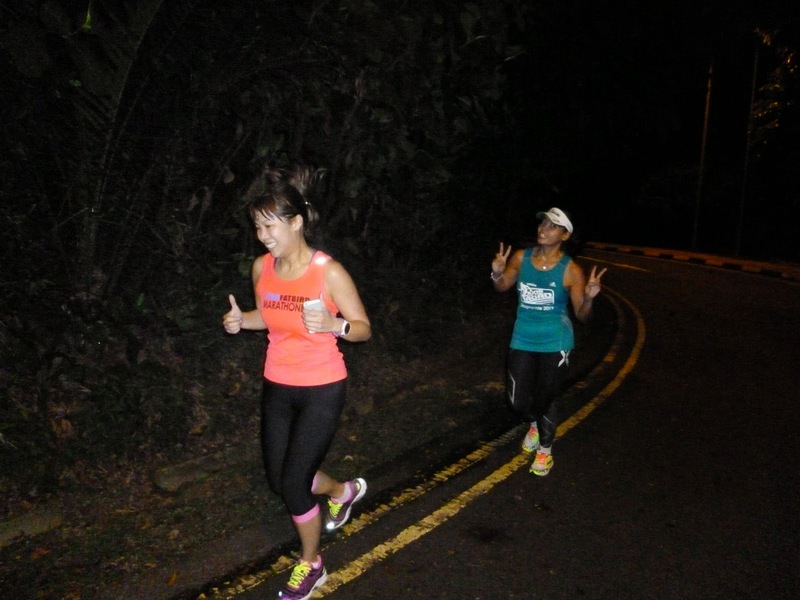 The 1km loop made up of a good up slope in the first segment to make sure that the trainees were given a good workout, before breaking into recovery mode with some nifty footwork to build up the stride rates for improved cadence. 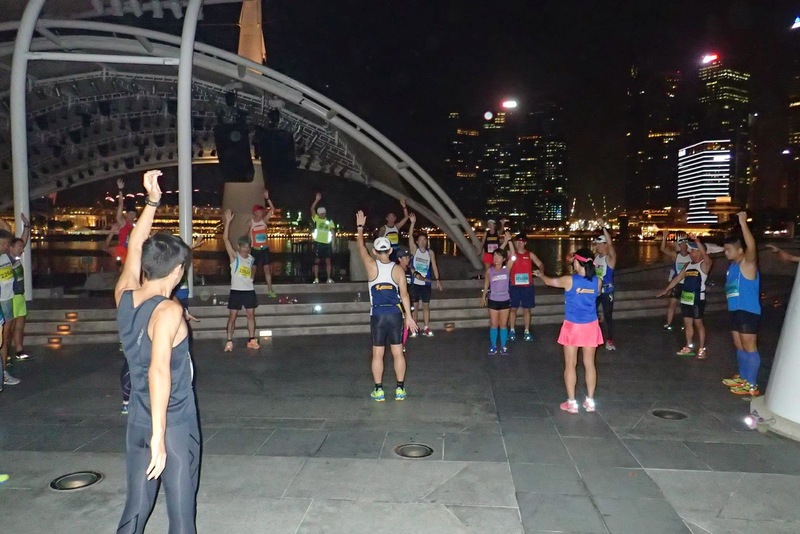 The 2 sets of 3 repetitions were executed to a tee by the respective groups with just sufficient rest intervals tailored to each group according to their HM targets and abilities. 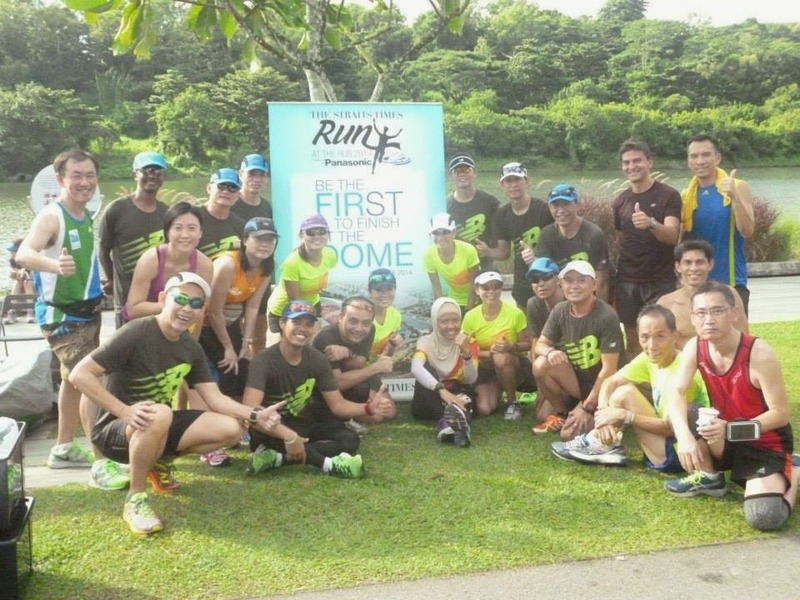 The strong base that have been built up till now put the Kingfishers in good stead as they ‘flew’ around the 1km repeats with measured grace while maintaining good form and posture. 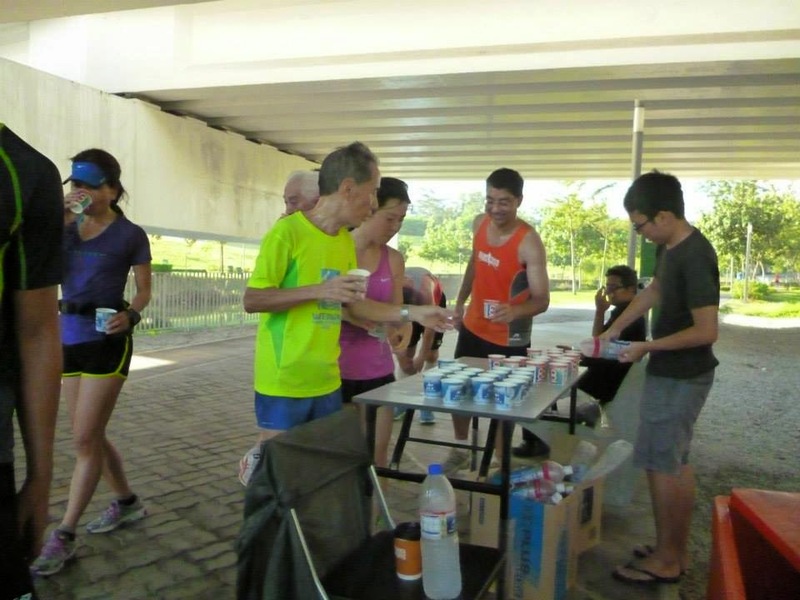 The main course was consumed with gusto and enthusiasm as the Kingfishers found their recovery requirements were shorter than allocated, pointing to improving cardiovascular strength and speed endurance. 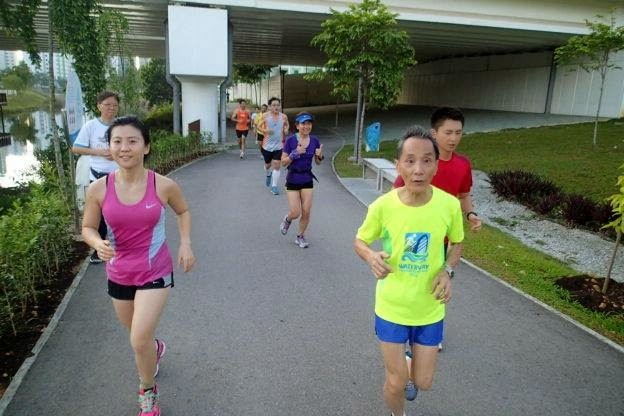 They were able to sustain the prescribed 85-90% effort for the 6 repetitions, with a couple of runners even wanting to go for extras – of course that would not be done during training to avoid over-reaching and risking injury. 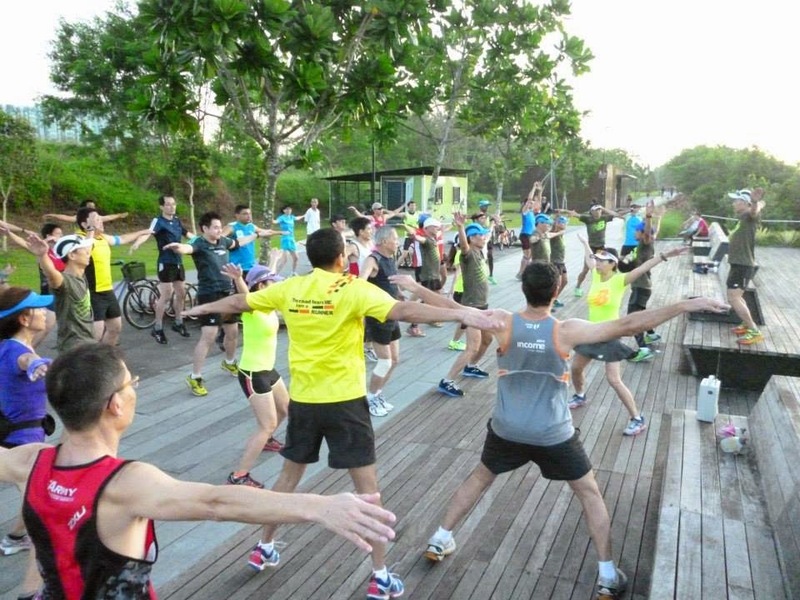 A nice dessert of body weight resistance circuit was served immediately. 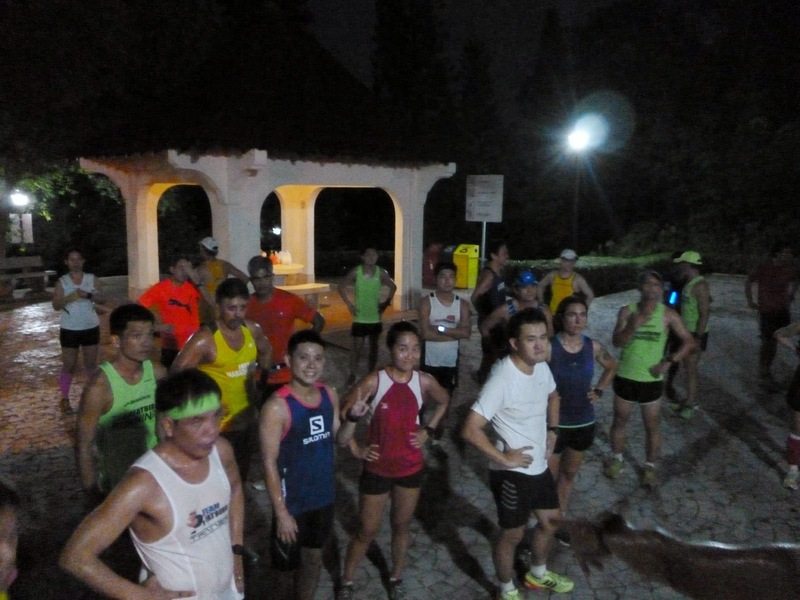 The short post-run HIIT bursts got the Kingfishers all pumped up even after having done 10km worth of high intensity running, providing a good closure with some core work to complement the lower body conditioning. 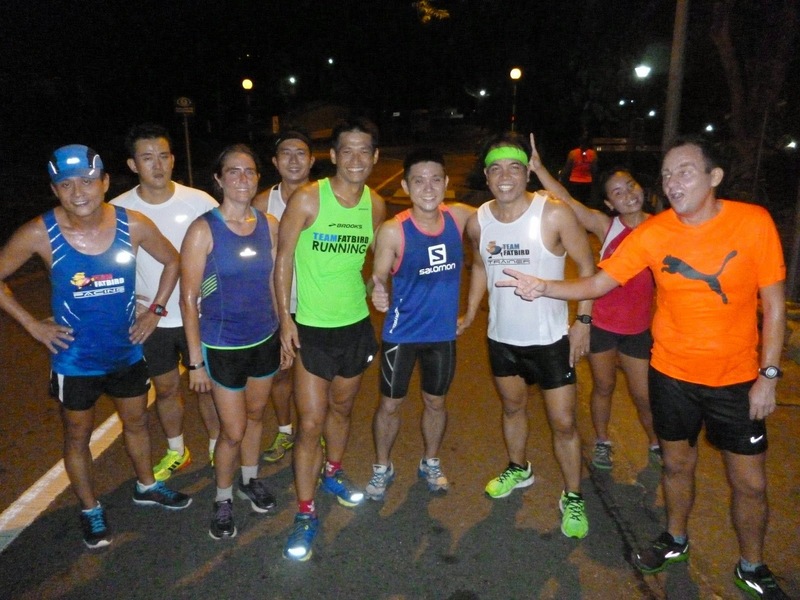 The evening ended on a high ‘in endorphins’ for most of the runners. 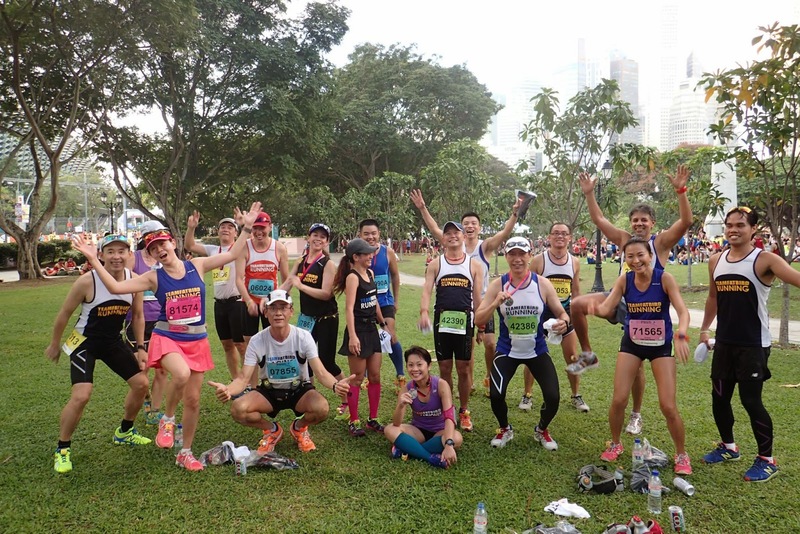 The Kingfishers will be looking forward to test their base in this coming weekend’s 21km Optimal Pace run, a sort of preliminary time trial for a good gauge of their performance potential on Aug 31. 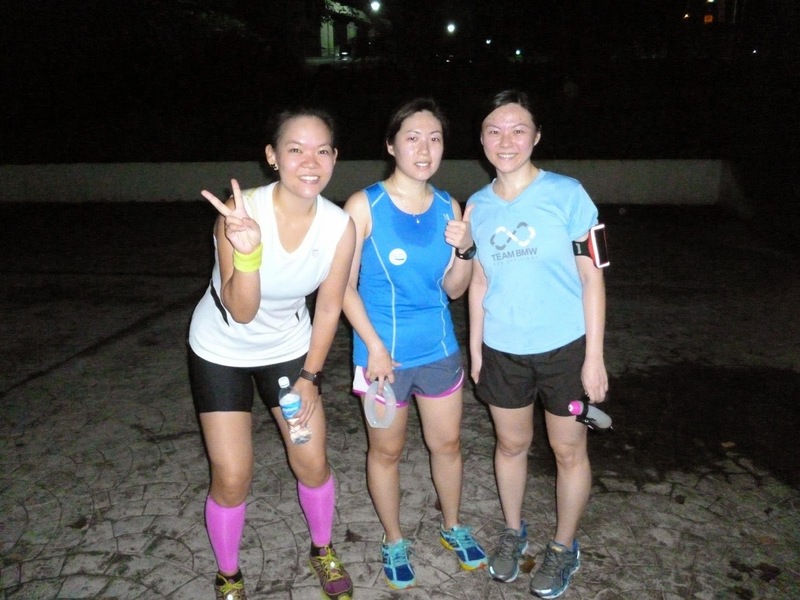 The Kingfishers Enjoy Speed & Hills! 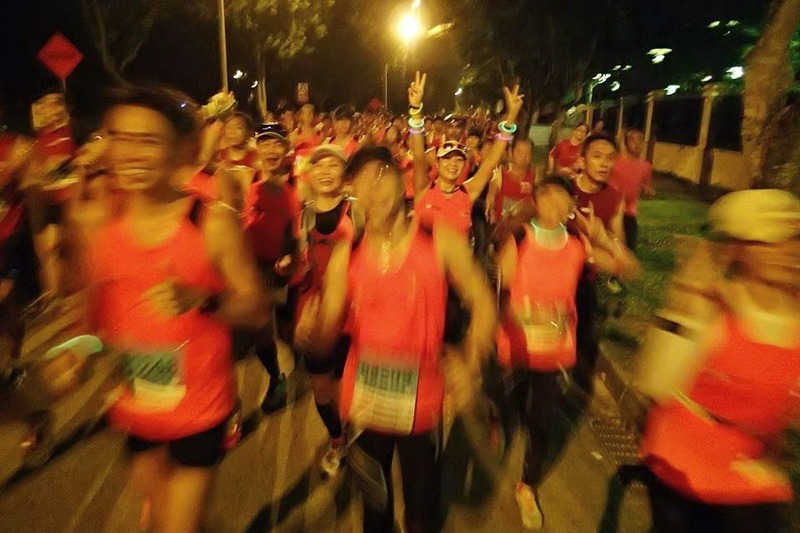 All runners, friends and fellow Singaporeans, let us celebrate as One United People in this country where rainbows of a thousand colours brighten up our beautiful skies – Singapore, Our Homeland!